We are off on holiday! 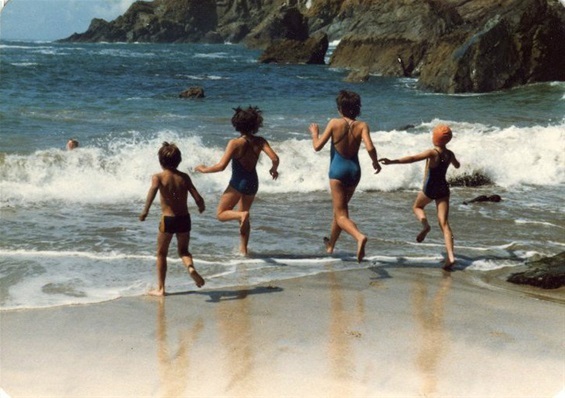 This photo was taken over 30 years ago - today all four of those children running into the sea so gleefully are bringing their own families together for our Family Holiday. I am not sure how easy it will be to blog from Deepest Devon - if possible, I'll be involving the rest of the family. So watch this space!